Key questions here are Julian Assange’s rights. Fortunately he has Geoffrey Robertson QC’s daughter as a lawyer. Geoffrey Robertson is a Human Rights expert lawyer. The issue for the Australian Government is where its allegiances align – human rights law, representation under the Constitution or is it influenced by other nation states? The issue of intelligence gathering is on the table in the sense that governments share citizens data, but what happens when a citizen shares government data in the public interest and in the context of journalistic freedom to report what is in the public interest. Therefore, media freedom, freedom of speech issues arise and this comes into conflict with those who want to dismantle human rights and set aside the UN Human Rights agreements and the Human Rights Council. Beneath this is who are we in respect to human rights? Is it lip service to appear to be an adherent to protections of citizens or not? This matter should be settled in a International Criminal Court where evidence is submitted by neutral third parties, with no external interference or bribing of judges. The world has to have a third party to deal with disputes and to ensure individuals rights are protected. Otherwise this world descends into totalitarian states al protecting their business interests and civilians becoming the victims of violence, suppression and abuse. It is an imperative that human rights are not decoupled from trade as Clinton was quoted many years ago. We must not only recouple human rights to trade but embed human rights into our universal values to ensure peace is not a nice word to justify actions but an actual reality in respect of social, political and cultural harmony (as distinct from stability). This article below reports Snowden’s comments on twitter. MOSCOW (Sputnik) – Former US National Security Agency contractor and whistleblower Edward Snowden recalled on Thursday, following the arrest of the WikiLeaks whistleblowing website founder Julian Assange that the United Nations had ruled Assange’s detention to be a violation of human rights. “Important background for journalists covering the arrest of Julian #Assange by Ecuador: the United Nations formally ruled his detention to be arbitrary, a violation of human rights. They have repeatedly issued statements calling for him to walk free — including very recently”, Snowden wrote on Twitter. 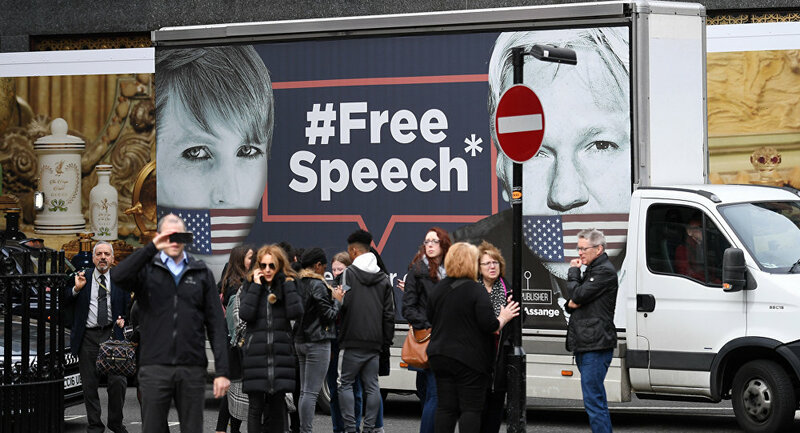 He also posted a screenshot with the Office of the UN High Commissioner for Human Rights’s statement, dated 21 December 2018, demanding the United Kingdom abide by its international obligations and immediately let Assange “walk free” from the Ecuadorian Embassy in London. Earlier in the day, the UK police arrested Assange inside the Ecuadorian Embassy in London, where he had been residing since 2012 under political asylum fearing extradition. Ecuadorian President Lenin Moreno confirmed on Thursday that the country had withdrawn Assange’s asylum status over his alleged violations of international conventions.Assange is currently being held in custody. His mother said on Twitter, citing his lawyer, that the activist was likely to appear before a UK magistrates’ court within 24 hours. The activist has repeatedly said that he feared extradition to the United States due to the fact that he had published thousands of leaked classified US government documents, exposing American atrocities in Iraq and Afghanistan.